Write your digital travel diary directly from the road and create a high-quality photobook. Here's how it works: Mark station by station for your trip on the map and add your photos, tips and experiences - whether during the journey or later from home is up to you. At the end of your journey, only a few steps are needed to create a real book from your travel diary. Your family and your friends at home can follow you on Tripmii and get notified with every new post. On this way you stay in touch with them and they always know you are fine. If you travel with a group, you can share a travel diary and add your experiences together. 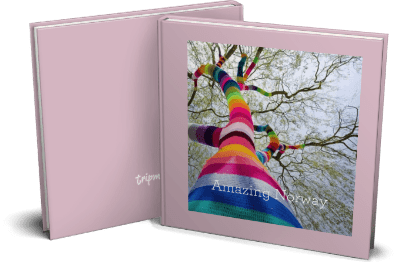 At the end of your trip, Tripmii makes it easy to create a professionally designed photobook of your travel diary. Sign up for Tripmii for free. Use the Tripmii app or website on your next trip. 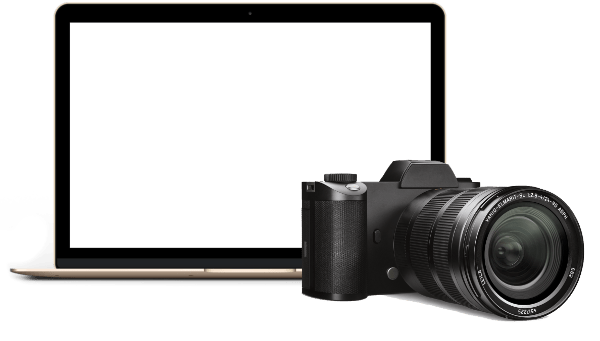 Create your photobook in seconds. 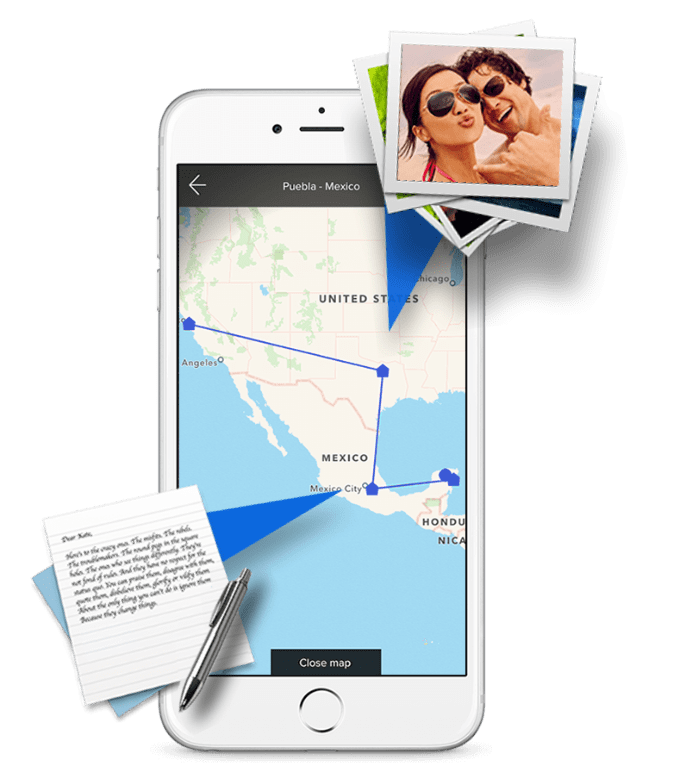 The easiest way to add your photos to your travel diary is via your smartphone. But even if you have some photos stored on your camera, you can easily use them for your travel diary. Use a USB adapter to load the pictures on your smartphone. Or you load them on your laptop and then add them to the travel diary via the website. A small selection of the best Travel Diaries. Thousands of Travel Blogs have already been released! To try Tripmii and for small trips BASIC is perfect. BASIC is free and includes all the key features you need to create a travel journal and share with your friends. 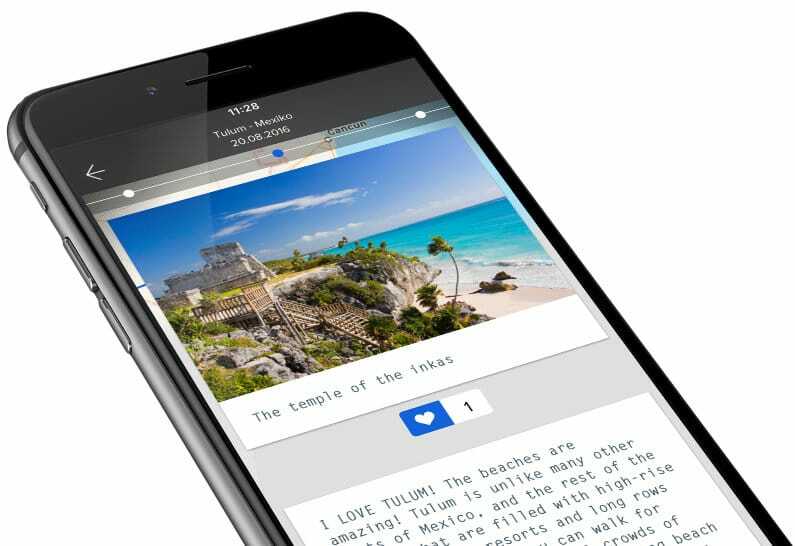 If your trip takes a little longer or you want Tripmii to be the new home for your travel diaries then you should check out PREMIUM. For only once € 3.99 / year you can not only use as many travel diaries and stations as you want with PREMIUM, you also get many useful functions. Track your travel route with all habitations, stopovers and excursions. Use Tripmii as your digital photo album. Share your tips with other travellers and benefit from countless tips yourself. Get a map with all the places you have travelled to. 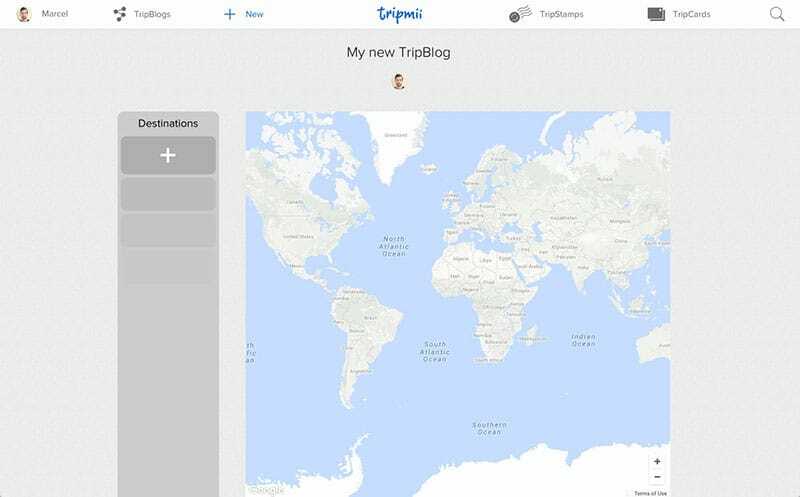 Turn Tripmii into your travel journal. Give a "Like" to all photos and places you enjoy. Present your journey to your family and friends. Share your travel experiences by Email, Facebook or Twitter. Follow other travellers and get followed by others - upon your approval if you prefer so. Give feedback on photos and destinations. Keep selected pictures private - viewable only for you and your fellow travellers. Decide on who gets notifications about your latest news. You can delete your personal data, travel diaries and each of your photos at any time! For travelling light there is a free mobile app available. Do not worry about a bad network connection. The app is always running! Upload and edit the content with up to eight authors. Sign up now and discover many other amazing features.